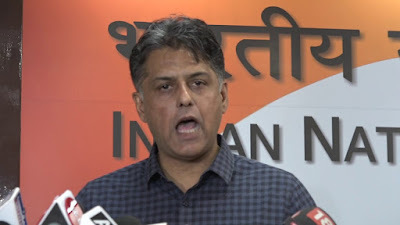 In a surprise move, the Congress has demanded that the 2019 Lok Sabha elections should be held with ballot paper, and not Electronic Voting Machine (EVM). Addressing a civil society-sponsored meeting in Delhi, party spokesperson Manish Tiwari said, "EVM machines are destroying the trust between the voter and the democratic system. Democracy is too precious to be left to the machines." Tiwari added, "To ensure the democratic nature of the country, the 2019 election should be done through the ballot system”, adding, “Today it is no more the question of going back to ballot paper in elections, but it’s a must that 2019 elections be conducted through the ballot papers." Tiwari said this even as leaders of several leaders of CPI-M, CPI, and CPI-ML, Nationalist Congress Party, Rashtriya Janata Dal, Aam Aadmi Party, Samajwadi Party, and Janata Dal-Secular participated in a discussion at the Constitution Club of India on analysing increasing lack of trust across India in EVMs. The meeting was organized by the National Alliance of People's Movements, Delhi Solidarity Group, Anhad, Peace and Sabka Bharat. Ankit Lal of the Aam Aadmi Party said, "EVMs are produced by companies like ECIL and BEL. These companies are incapable of maintaining the machines on their own, therein lies the problem because they have to hire external technicians, train them and outsource the task of maintaining the machines to them." A few political leaders insisted that the Voter Verified Paper Audit Trail (VVPAT) system should be used properly. Nilotpal Basu of CPI-M said the need is to use the VVPAT by making it "as transparent as possible, keeping in mind the satisfaction of the voter", while Janata Dal-Secular's Danish Ali said his party will not contest the Karnataka Assembly elections later this year if "VVPAT are not counted 100%." CPI's Amarjeet Kaur said, "Unless every single voter is confident about their vote and its destination in the counting process, democracy will have failed", adding, "To ensure the same, we have to go back to the ballot system. To make sure that the country doesn’t veer towards fascism, people have to be convinced that the electoral process is full proof and that their voices matter." Senior civil society activists backed political leaders. 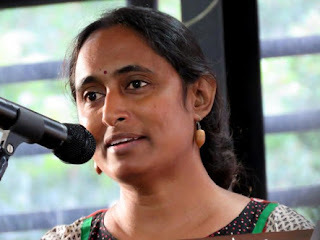 Nikhil Dey of the Mazdoor Kisan Shakti Sangathan said, "Political parties should have raised commotion about electoral reforms in 2014 itself", regretting, "Bo one did, and in that moment, they failed their duty to change the system for the better. That faith has to be rebuilt and enabled, the ballot system is the most appropriate." 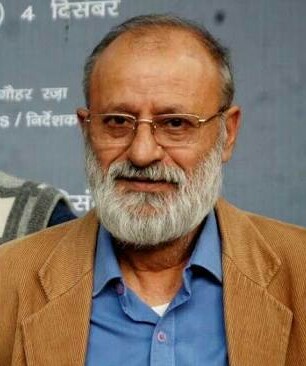 Another social activist Gauhar Raza, a scientist by profession, who is also a leading Urdu poet and a documentary filmmaker, insisted that it is "important to continue the debate in India because if EVMs are not tamper proof, and Indian democracy is in danger, as vote becomes valueless in the process." He added, "It is the responsibility of all political parties, civil bodies and the public to carry it forward and turn it into a movement to demand the return of the ballot system." "The tampering of EVM machines is an attack on our right to choose and our right to vote. The EC has stated 6 technical ways which prevent it from being tampered with, but there is no machine in this world that is impenetrable. That is the driving factor in the universal rejection of EVM machines”, he points out. Suggesting that the Election Commission is losing its credibility as it continues to deny that EVM machines can be tampered with, Dr Sunilam regretted, it made no outright moves to penalise those who manipulated the system. Among the countless number of technicians they hire locally, what is the guarantee that they are free form being politically manipulated?, they asked. The meeting heard reports from S Srinath from Karnataka and Yogesh Malik from Gujarat, who presented detailed accounts of the tampering and also of voting fraud and their efforts to complain to the Election Commission and judiciary and seek justice. But they added, unfortunately in the name of the sanctity of the election process, they couldn’t make any headway.